Birth of Lola - Colorado Springs Birth Photography — Love is Photography LLC. This story is long over due, since she had her beautiful girl in December of 2016; better late than never I say! 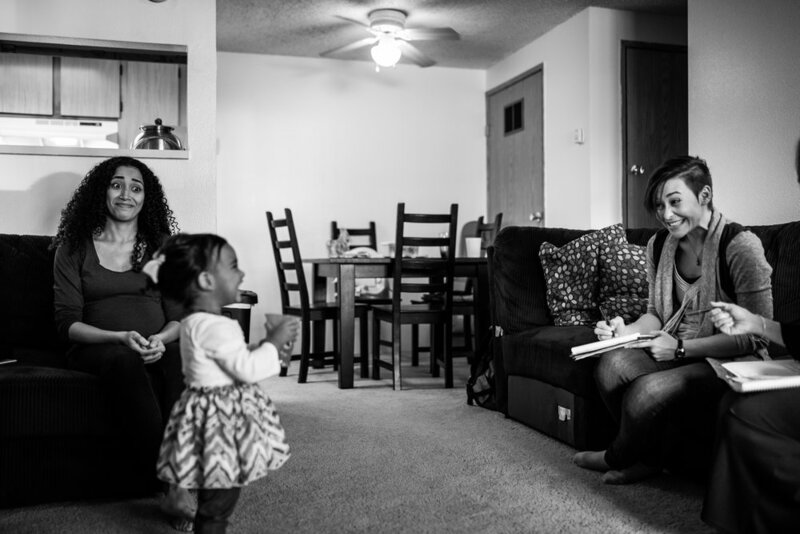 Kim approached me with the idea of documenting the whole process of home birth from the in home prenatal appointment, to the birth, to the postpartum appointment that also can take place in home. I immediately said yes! It was such a fun idea and project. Sitting with Stephanie in her sweet home, we quickly became friends. She told me of her first home birth and of how her midwife actually missed it! I knew that come December, I'd need to be on high alert for another fast arrival. 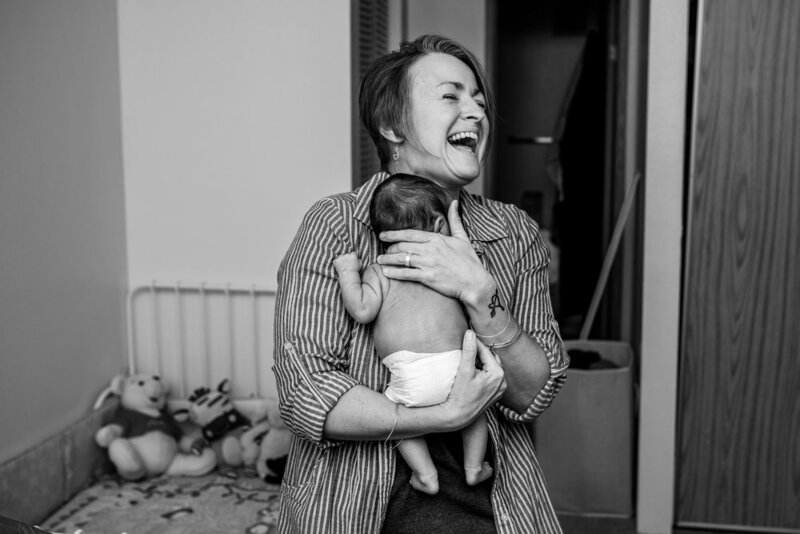 I got a call around 3 in the morning from her midwife Kim, saying that she was on her way to Stephanie's and that she didn't think it would be long before we had a baby. I don't think I had ever gotten ready so fast! I was out of the door in about 5 minutes flat, I raced down Powers Blvd, going about 80 MPH in a 55. There was no one on the road, and it was clear of any snow or ice which is kind of a class B miracle for mid December in Colorado. About 5 minutes into the drive, I had an accompanying SUV close behind in the lane left of me. I didn't think too much of it, since it was keeping up with my quick pace. I don't know if it was the late hour, my "Home Sweet Home Birth" bumper sticker and the speed I was moving, or a combination of this all but this SUV that was actually a Police car decided to let me off with a swift and bright shine of his spot light as a warning. My foot immediately let off the gas, my car slowed, but my heart rate replaced the speed. Thank the Lord I didn't get a ticket! But this wasn't my last encounter with the police in these wee hours of the morning. I tried to walk as calmly as I could into her apartment, all the while in a rush to get my bag down, camera out, settings correct and up to my face. I was able to snap a few pictures before we were interrupted by a loud knock that can only be recognized as a cop knock. It seemed that in the throes of labor, one of her neighbors became worried and called them out to check on things. As soon as they heard we were just having a baby, they quickly left with a "Good night!". I think I was there all of 5 minutes before it was time to push. 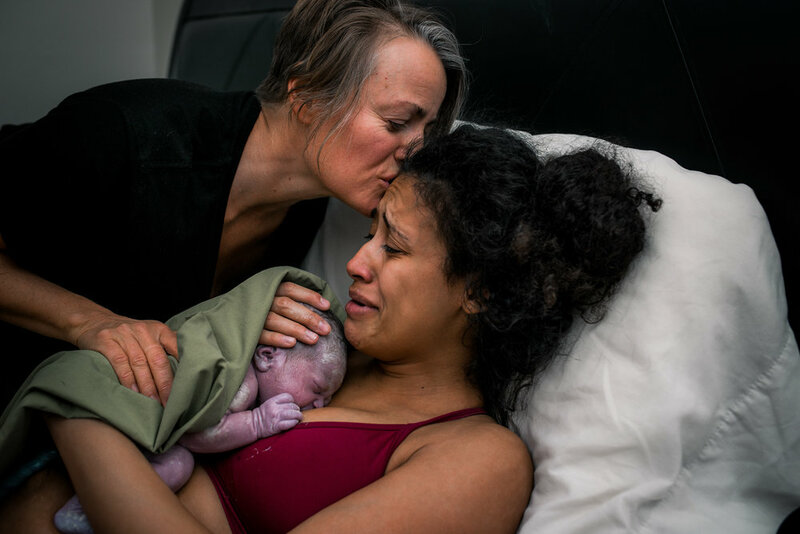 Sweet Lola was born in the early morning hours, with a loving family, midwife and photographer all there to witness it. It was glorious.